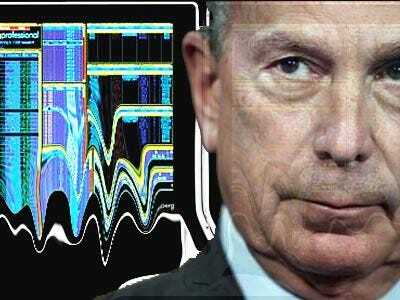 Hey, Silicon Valley, Get Ready For Bloomberg! Here’s a smart idea from a struggling newspaper: The San Francisco Chronicle is combining powers with Boomberg News’ San Francisco bureau to launch a beefed up daily business section. Starting Sunday March 28, the “Business Report” in print editions, and on both of their websites, will offer news and reporting from both Chronicle and Bloomberg reporters. The new partnership should light a fire under reporters at competition papers covering the the tech industry. The Wall Street Journal and The New York Times’ local editions in the area should also be calling up advertisers to check on their loyalty. Bloomberg plans to hone in on the Valley “as well as regional real estate, jobs, personal finance and stock performance,” according to their announcement. “We intend The Chronicle’s daily business section to be an essential read for business, financial and technology coverage of Silicon Valley and the Bay Area,” Frank Vega, Chronicle chairman and publisher, said in the canned statement. The Hearst-owned Chronicle can use all the help they can get from the blow they took in 2009: The daily paper took a the largest drop in circulation out of any other U.S. paper during the six-month period ending in September 2009. They lost 25.8% of their subscribers, to 251,782 of them, according to the Audit Bureau of Circulations. Publisher Vega responded in the paper that the company expected the drop, since their weekly subscription rate was increased from $4.75 two years ago to $7.75 at the time. They also nixed delivery to certain areas that weren’t bringing in enough money and canceled some subscription discounts.